The next Symmetry Festival of the ISA is planned for 2020. The Organising Committee of the Symmetry Festival 2019 regrets to announce a shift of conducting this Festival from 2019 to 2020 due to force majeure circumstances in the organising process. The organising committee sincerely apologises for the postponement of the Festival. We will announce the place and the precise dates of the Symmetry Festival 2020 additionally. 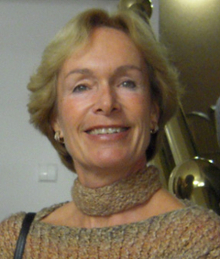 Siglind Bruhn is a music analyst/musicologist, concert pianist, and interdisciplinary scholar. A Life Research Associate at the University of Michigan’s Institute for the Humanities, she has published more than 30 book-length monographs and five anthologies, focusing on the concert and operatic music of the 20th and 21st centuries, particularly in its relationship to literature, the fine arts, and religion. In 2001 she was elected to the European Academy of Arts and Sciences; in 2008 she received an honorary doctorate from Linnaeus University, Sweden. As a pianist, Siglind started concertizing at the age of 13 and has since given solo and chamber music recitals in twenty-three countries on all five continents. She has recorded extensively with classical radio stations in several countries and can be heard on two LPs and four CDs. Professor Chaim Goodman-Strauss works at the J. William Fulbright College of Arts & Sciences of the University of Arkansas. He is a specialist in convex geometry, especially aperiodic tiling, and with John H. Conway he wrote “The Symmetries of Things”, a book surveying the mathematical theory of patterns. 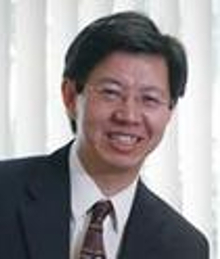 Matthew He, Ph.D., Full Professor and Assistant Dean of the Halmos College of Natural Sciences and Oceanography of Nova Southeastern University in Florida. He is an editor of International Journal of Biological Systems, International Journal of Cognitive Informatics and Natural Intelligence, and International Journal of Integrative Biology. He is the book editor of Advances in Bioinformatics and its Applications of World Scientific Publishing. He is a series editor of Biomedical and Life Sciences of Henry Stewart Talk on “Using Bioinformatics in Exploration in Genetic Diversity.” He serves as a member of International Advisory Board of “International Symmetry Association (ISA). Lynn Gamwell is lecturer in the history of art, science, and mathematics at the School of Visual Arts in New York. Her books include “Exploring the Invisible” (Princeton, 2002), which George Steiner named Book of the Year for the Times Literary Supplement, and “Mathematics and Art” (Princeton, 2017). 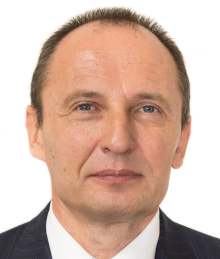 Professor Sergey Petukhov works in biophysics and bioinformatics. He is awarded with Soviet Union State prize (1986). He is head of the Laboratory of Biomechanical Systems of the Mechanical Engineering Research Institute of the Russian Academy of Sciences and a leading researcher at the Centre for Interdisciplinary Research in Musical Creativity of the Moscow State Conservatory. Professor Konstantin Zenkin is a Russian pianist and theoretic of music. 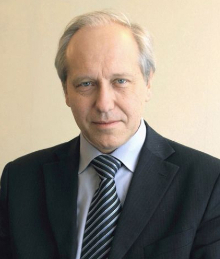 He is a Moscow P. I. Tchaikovsky Conservatory’s vice rector for academic studies and an author of a number of books and articles about European music of the 19th -20th centuries, philosophy of music and piano performance art. 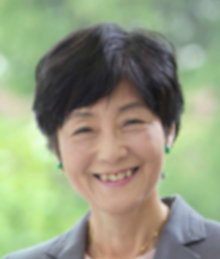 Prof Reiko Kuroda is a specialist in Chemistry, Spectroscopy, X-ray Crystallography, Molecular Biology and Developmental Biology. She works in the Research Institute for Science & Technology, Tokyo University of Science. 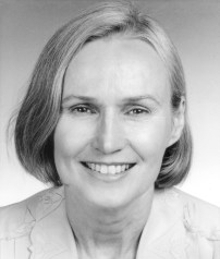 She is Professor Emeritus of The University of Tokyo and a member of the Royal Swedish Academy of Sciences. 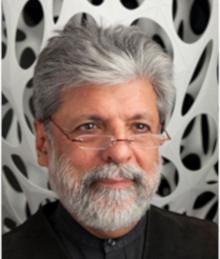 Dr. Haresh Lalvani is a sculptor, inventor, architect, designer, morphologist, visual mathematician, and professor of Architecture at Pratt Institute, New York. He is also affiliated with The Structural Morphology Group (European-based), the International Association of Shell and Space Structures, the Japan Institute of Hyperspace Science, and ISIS-Symmetry (Hungary). He was awarded by the Graham Foundation for Advanced Studies in Fine Arts, the National Endowment for the Arts, and the National Institute for Architectural Education, and worked as an artist-in-residence at the Cathedral of St. John the Divine in New York and as the Co-Director of the Center for Experimental Structures at the School of Architecture, Pratt Institute. Victor Borovkov works as a full professor of chemistry at South-Central University for Nationalities (China) and a senior research scientist at Tallinn University of Technology (Estonia). 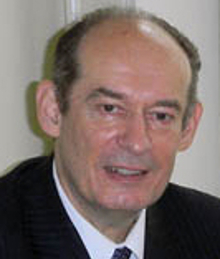 He is a member of the editorial boards of several scientific journals, an author of more than 125 publications including research papers, reviews, and books with the h-index of 27 (WOS and Scopus), 10 patents, and serving as an external peer-reviewer of various international journals and scientific foundations. He participated in different international and industrial collaboration projects and attended numerous international and national conferences as an invited speaker and a member of advisory committees. 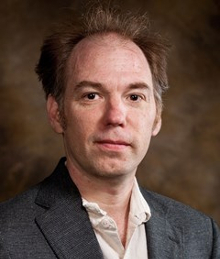 His current research interests include chemistry of porphyrins and related macrocycles, supramolecular chemistry, nanotechnology, chirality science, functional chiral materials, and asymmetric catalysis. 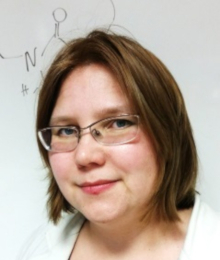 Riina Aav is an associate professor at Tallinn University of Technology, Estonia. Her scientific interests focus on design of macrocyclic container molecules such as hemicucurbiturils, studies of their formation, structure, chiroptical and supramolecular properties, and their applications. She graduated from Tallinn University of Technology, have worked in the group of Prof. A. Alexakis at the University of Geneva and as a Fulbright visiting scientist with Prof. S. E. Denmark at University of Illinois at Urbana-Champaign. She is teaching organic and analytical chemistry and also spectroscopy courses for bachelor, master and doctoral level students at Tallinn University of Technology and also given NMR course in Lodz University, Poland. Since 2011, she has been a PI of several research grants. Since 2018 she is a member of editorial board of journal Supramolecular Chemistry (Taylor&Francis). Since 2017 she is a chairlady of Estonian National University Students Research Contest. Symmetry Congress 1995, Washington D.C.